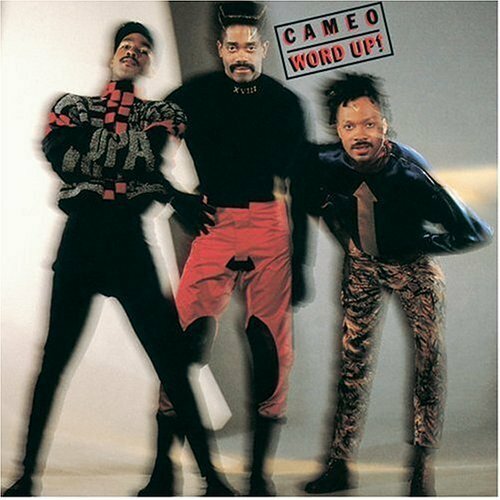 Being that I came of age in the late 1980s, my immediate thought when I hear the words, “Word Up!” is the Cameo song playing with all its funkalicious glory. But now, “Word Up!” has a new meaning for me as well. Okay, Marcia, I’m going to take you on your word about that! So, I prepared to truly dig in to see if I could pick this book apart, and to find reasons why someone should read this book and have it in his or her library of writing resources. Unlike most readers, I do have the advantage of knowing the author, so I found myself reading the book in her voice. Even if I hadn’t heard Marcia’s voice in my head, the casual, jovial tone and language she used throughout the book sounded very natural to me. Someone who has never met Marcia will enjoy this book very much as well, and would read it the same way I did. I enjoy her casual approach to this formal subject, and her sense of humor was infused into each chapter! I am happy to say that I had this “Yes!” response she described as I read this book. I write as if I’m talking to friends that share the same passions as I do, so to read that Marcia composes her words in the same way as I do was a revelation, and I was glad to see she made this recommendation. Throughout the book, Marcia addresses common sticking points in writing as well as some that are not quite as obvious. One of the difficulties in reading any style guide is that the information can be rather dry since it is very factual. Dry and factual can be boring. Fortunately, Marcia doesn’t do this. With each chapter, she paints each new layer upon the last one, slowly building upon each topic so that the reader can see the big picture that writing is full of color and light. She uses everyday and personal examples which illuminate the point she’s making for a particular chapter much more apparent. In the process of reading this book, I ended up learning several tips that have helped me fine-tune my own writing. I’ll give you an example. How often, either in speech or writing, do you use the word, “just?” I have to admit, I do it ALL the time. It seems like a catch-all to emphasize the immediacy of an event’s occurrence. Marcia shows the reader how to avoid using the word as often as possible. Some other themes covered in the book include the proper use of metaphors, how to use contrast in a sentence, how to avoid the verb “to be” and most of its conjugations whenever possible, writing for one’s audience, and the importance of continually revising one’s content. While these topics are just a sampling of what Marcia covers, there is so much more! As you may or may not know, I teach a technical writing class on behalf of World Learning to students from various Microsoft offices in Asia. While I was reading Word Up!, I kept thinking that this would be a great book to recommend to my students. My students are often technical managers who are seeking some help to sharpen their business and technical writing. World Learning has provided me with a great curriculum that I have found to be very thorough, and actually ran parallel to the information that Marcia provided in Word Up!. In fact, Word Up! provides more information in a compact volume than I do over the weeks that I teach the course. I’m definitely going to add this book to the resources list that I provide at the end of the course. I know it will supplement the classwork effectively in a highly approachable manner that will be easy for my students to understand. Having the reinforcement of the material in a relaxed, humorous, and informative way will help the students retain the information much better than remembering my lectures alone. So, as you build your writing resources library to include copies of the Chicago Manual of Style, Strunk and White‘s Elements of Style, and Fowler’s Modern English Usage, be sure to add this new book to the collection. I guarantee you will find it an incredibly accessible writing resource, and I suspect it is destined to be one of the classic style guides in years to come. The book will be released on April 27, 2013, which is also National Tell A Story Day, and available through Amazon and other fine book retailers. Click on the title below to find out more information about how to order this fine tome. This entry was posted in Uncategorized and tagged Adobe, Adobe FrameMaker, Adobe Systems, Adobe Technical Communications Suite, Asia, better creative writing, better technical writing, better writing, book review, creative writing, digital literacy, Distance Learning, DIY education, e-learning, e-learning specialist, education, elearning, English language, Framemaker, higher ed, higher education, Lavacon, Learning, m-learning, Marcia Riefer Johnston, Methods and Theories, Microsoft, Online Teaching and Learning, powerful writing, social media, style guide, Style Guides, tech comm, TechCommGeekMom, Technical communication, technical communications, technical writing, Thought, World Learning. Bookmark the permalink. What a tribute, Danielle. Thank you for sharing your thoughts (and eloquently). I’m thrilled that you find the book useful both as a writer and as a teacher of writing. I love that Cameo video! You’re welcome. Who knew gals like us were that funky, right? I did my best to use your guidance from the book to write the review, so hopefully it shows. Congratulations, Danielle. Nice review. Can you give me an example of how you use “just” incorrectly? I just use it too much. There are appropriate times to just use it, but just using it all the time is just redundant and it just doesn’t make a difference or just doesn’t create any additional emphasis. See what I mean? 😉 If the word “just” is left out more often, then the sentence become more concrete. Take out “just” from what I’ve written here. The sentences are stronger, aren’t they? It’s a small change that has a big impact.